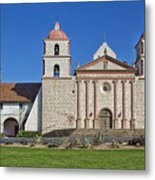 Mission Santa Barbara, also known as Santa Barbara Mission, is a Spanish mission founded by the Franciscan order near present-day Santa Barbara, California. It was founded December 4, 1786, the feast day of Saint Barbara, as the tenth mission for the religious conversion of the indigenous local Chumash���Barbare√�o tribe of Native American people. 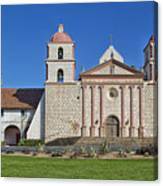 The mission is the namesake of the city of Santa Barbara as well as Santa Barbara County. 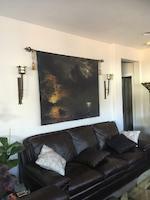 The Mission grounds occupy a rise between the Pacific Ocean and the Santa Ynez Mountains, and were consecrated by Father Ferm√≠n Lasu√�n, who had taken over the presidency of the California mission chain upon the death of Father Presidente Jun√≠pero Serra. 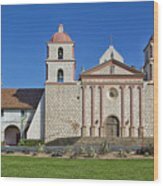 Mission Santa Barbara is the only mission to remain under the leadership of the Franciscan Friars since its founding, and today is a parish church of the Archdiocese of Los Angeles.